Just in!! Here are the results of the second Mystery Grocery Box. They were sent to Megan and they were from an Asian Grocery Store. 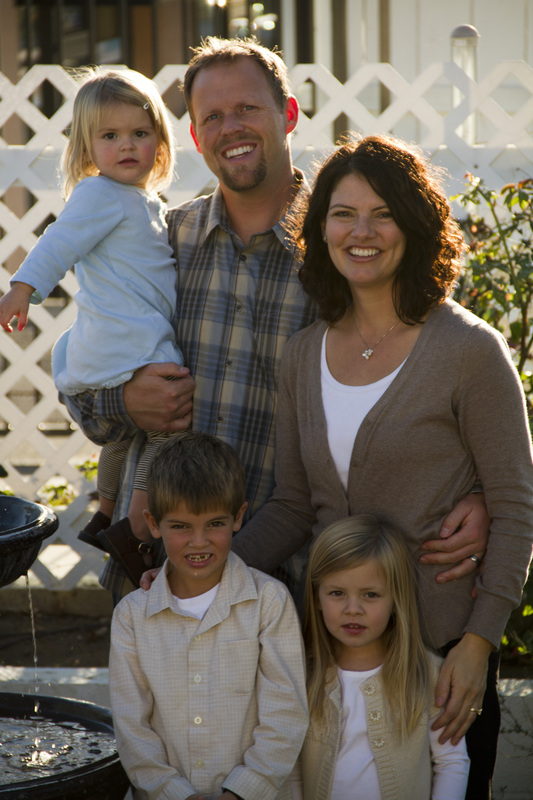 Here are the kiddos Megan cooks for. Or. Here are the kiddos for whom Megan cooks. Or. Here be da kids. And even though they aren’t mine, they are precious! I am rather partial to brown eyes–especially ones that look like mischief happens. . . .And blonde girls with perfect smiles!! . . .and baby faces. And here be Megan with her man. Now this is what Megan had to work with. Or. This is with what Megan had to work. Or. This be what da box done had. There were rice noodles, rice paper, 100% palm sugar, chinese marinade and pickled cabbage. And here is an account of what Megan made from these ingredients. Or. An account will follow of the cooking concoctions of Megan’s meanderings in the kitchen. Or. This be what she done did. Let’s do some virtual cooking with Megan. Let me just say, this was a lot of fun! Thank you! I’m sorry it was taken me for-eva to get back to you with results. The “Chinese marinade” threw me for a loop so it sat on my counter lo these many weeks and mocking my uncreativeness, but I eventually used so I can tell my tale. Fun stuff. Spring rolls were the obvious choice so one day before the kids got home from school I chopped up some vegetables, some basil and some cilantro. When the kids got home they helped me roll them up. Here is Jill showing you what the paper looks like from the package. 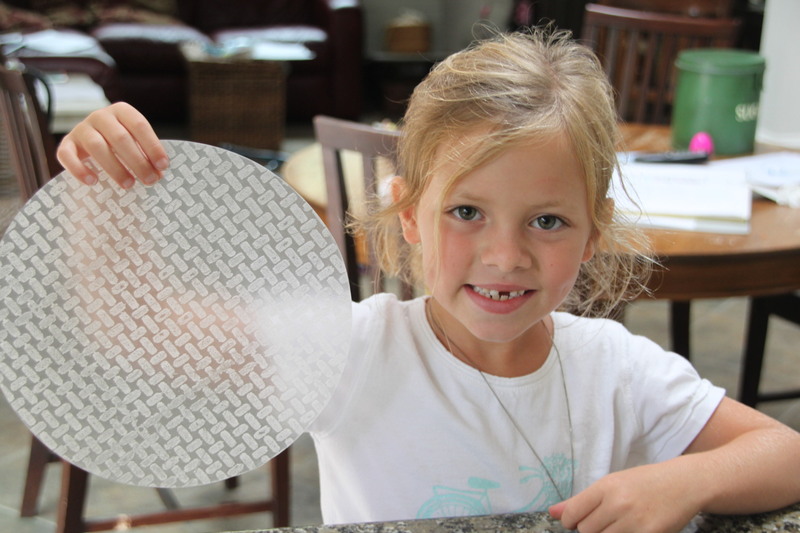 I learned the pattern comes from the bamboo mats that the paper is dried on. 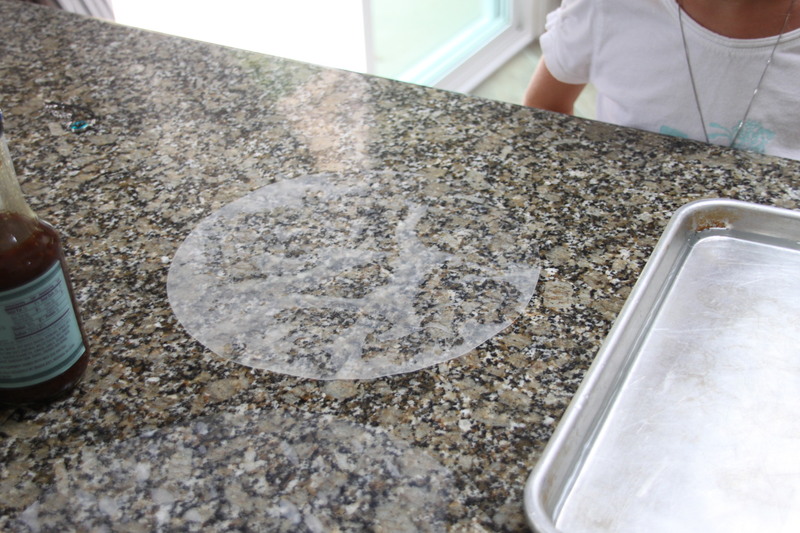 Google told me to soak the paper in water for just a few seconds, lay it out on a flat surface and then let it sit until it has soaked up all of the water, 1-2 minutes. Once the paper is ready, lay your fixings in a line along one edge and roll it up like a burrito, folding in the edges as you go. Besides the veggies, we used lettuce, sliced almonds and some left-over chicken. Spring rolls are really just excuses for using dipping sauces. This is what I had that day but I kept envisioning a creamy peanut sauce while I was eating mine so I’ll definitely try that next time. The kids thought the whole experience was great. 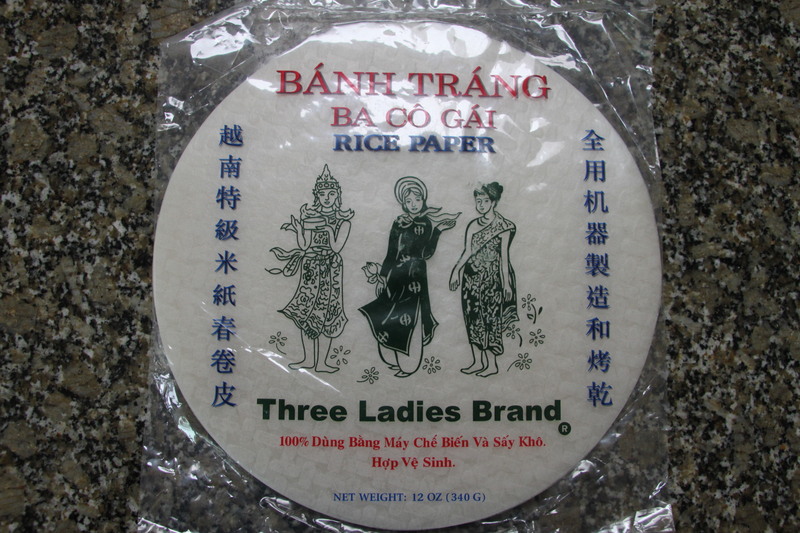 The loved dipping the rice paper and rolling them up. When it came down to eating them my girls (3 and 6) didn’t love them. It was a texture issue with Jill and a copy-cat texture issue with Mia. To curb the gumminess, I think it is important to make the rolls fairly fat so there are not too many layers of rice paper. The good news is that Daddy, Lucas (9), and I loved them. In fact, both have asked when we can have them again. Yea, for 9 year old boys asking for raw veggies!! Fun fact: One of the best surprises a girl could ask for happened to me on this day while Jill was eating her spring roll. She was standing at the bar, playing with the molding on the cabinet underneath the counter and discovered a huge cupboard facing the eating area that we had no idea existed. We have lived in this house for over 4 years. I couldn’t believe it! It was like a dream and prompted a two day cabinet cleaning, organizing extravaganza. Anyway, back to the box. 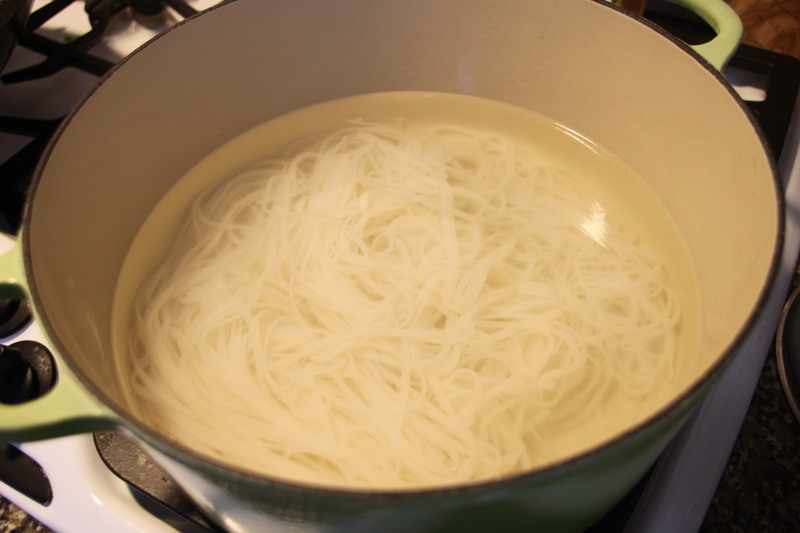 Rice noodles! This was my first experience with rice noodles. Happy to say they are now a pantry regular. 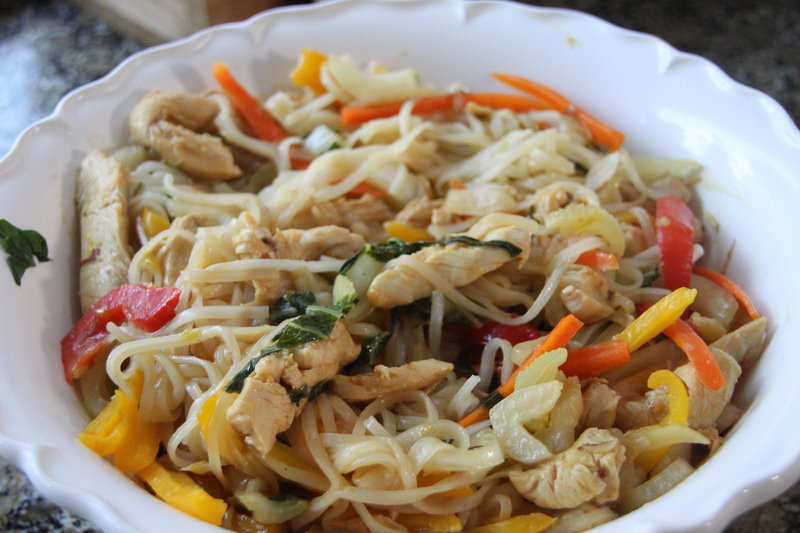 One of our staple weeknight meals is stir-fry. 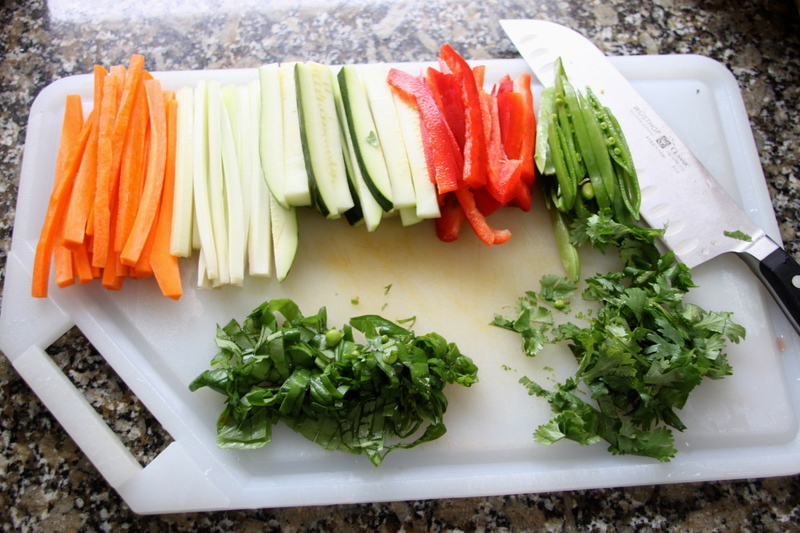 Basically, I open the fridge, pull out all the vegetables I can find and throw it all in the wok with some chicken. Sometimes I use a bottled teriyaki sauce or I just make my own concoction. When I make my own, I usually start by heating some some oil in the wok. Once it is shimmering I add chopped garlic and ginger. After a bit, I add the veggies and or meat. When everything is almost done I add soy sauce, sesame seed oil, a splash of rice vinegar, and hoisin sauce. 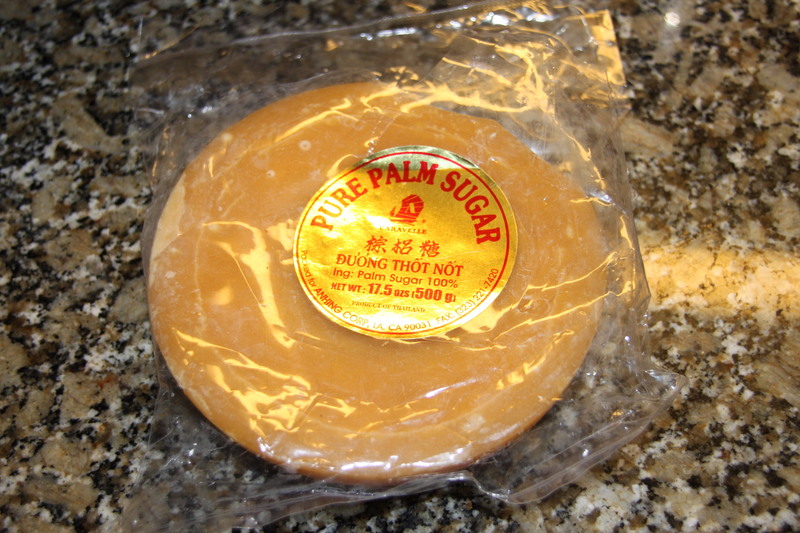 Palm sugar was also in the box and I used a bit of it in the sauce we had in our stir-fry this week. Google says palm sugar is one of those secrete ingredients that make homemade Thai food taste for authentic. I’m looking forward to experimenting a little more with this! Normally I serve the stir-fry over rice but the rice noodles were a nice change. They only take about 5 minutes to cook, which is a nice added bonus for busy weeknights. Instead of boiling the noodles in the water like you would with regular noodles, bring the water to a boil, turn the burner off and then add the noodles and let them sit until they are soft. 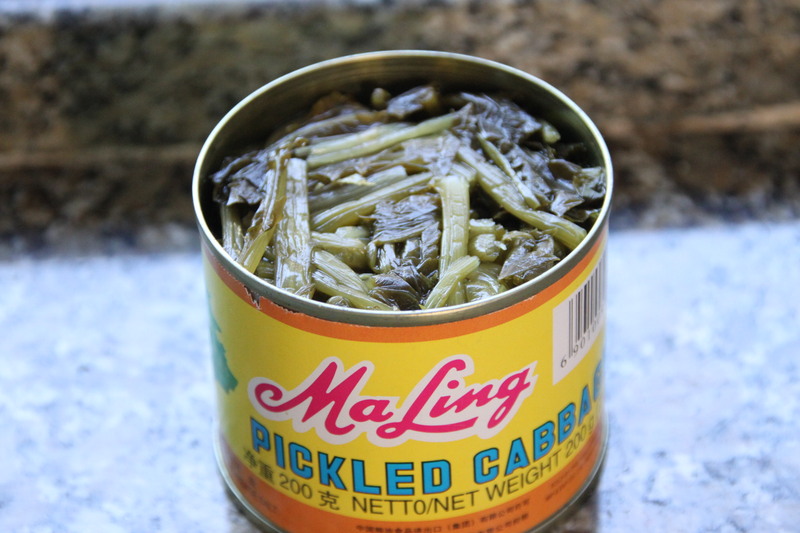 We also cracked the can of pickled cabbage as a side to our stir-fry. It smelled like…like one would imagine pickled cabbage to smell like. Nathan tried it and said, “Not bad.” I tried it and controlled my facial expressions and said something like, “Yeah, not bad.” for the sole purpose of convincing Lucas to trying it. He was not impressed. Nathan actually had seconds but I will not be running out to purchase this anytime soon. VERY salty and pickley and cabbagy. 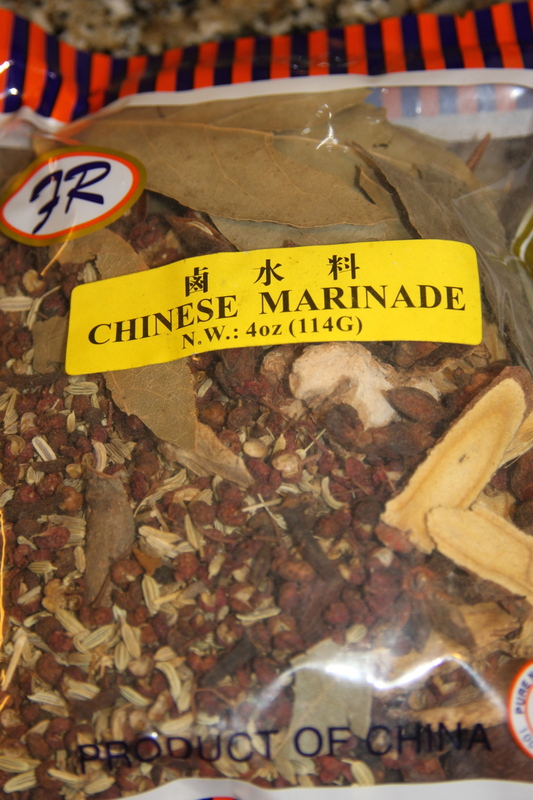 So this brings us to “Chinese Marinade”. It smelled good but like tea good, not marinated meat good. I was really at a loss as to how to use this. 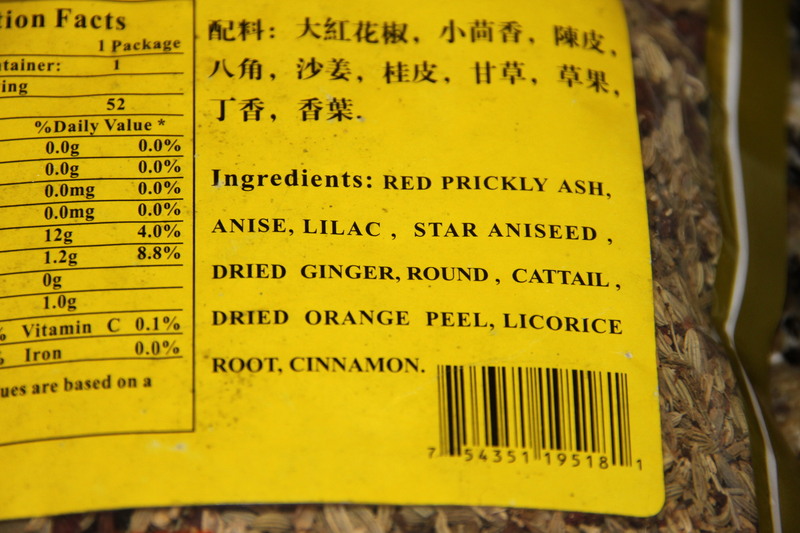 Google failed to turn up anything except I found that the spices were similar to the ones found in Chinese 5-spice powder. Finally, I took the package to school pickup one day and asked a Chinese mom friend what she thought it was used for. She wasn’t sure but pulled other Asian moms over and the general thought was to boil it in water with chicken or pork. So that night we had boiled chicken. I had never boiled a chicken before but once again Google held my hand. Place the chicken in enough water to cover. 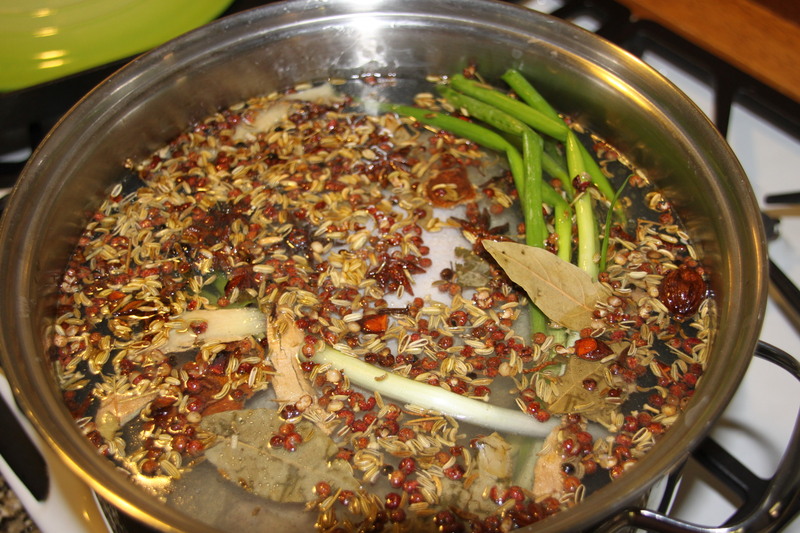 Heat to boiling and then simmer for 10 minutes. Turn the heat off and let the bird sit for 1 hour. It came out beautifully with just a hint of spice to it. 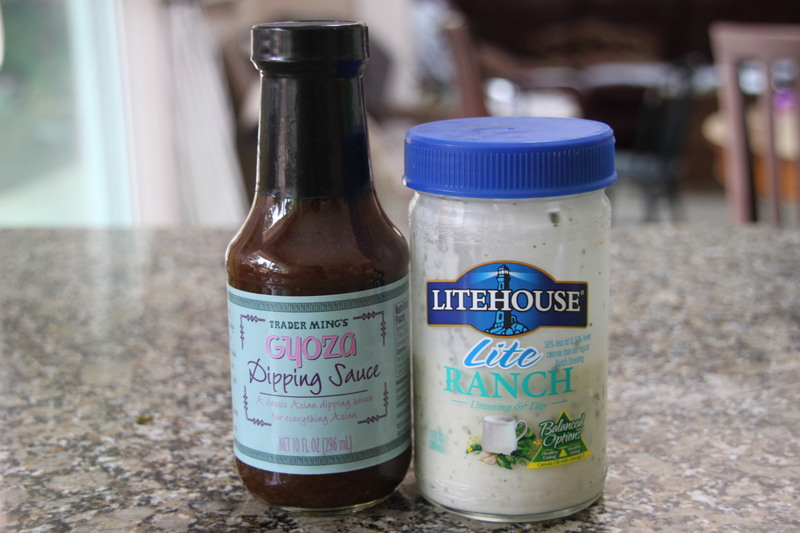 I think I should have dumped more of the marinade in for a more distinct flavor. Live and learn. I also added garlic and green onions to the pot. Thanks Rebecca, for the fun idea and for taking the time to shop and ship! We had a lot of fun with our grocery mystery box! If you enjoyed this post, you may also like. This entry was posted in Recipes and tagged 100% palm sugar, chinese marinade, pickled cabbage., rice noodles, rice paper. Bookmark the permalink. Hey, that looks like my sister and nieces! 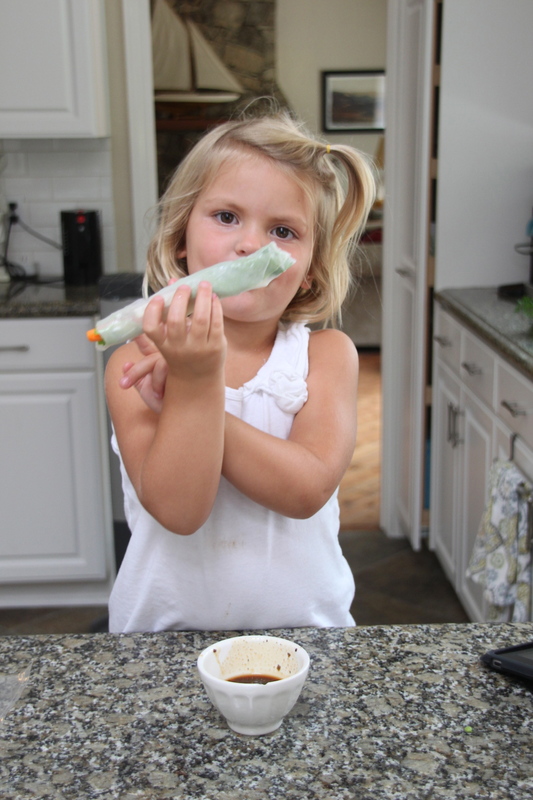 Only a real California surfer boy nine year old would love spring rolls : ) Looks yummy! Fun descriptions Meagan! Glad you have the energy and creativity to make such a beautiful meal out of these ingredients. Beautiful girls too! Glad they are willing to try new things. It don’t always happen dat way. Don’t you wonder how an English teacher deals with a culture and tries to change it? What a laugh and im well impressed you can get kids to eat veg like that! Not sure why but for some reason I can see all of Megan’s pictures that involve the cooking steps, etc, but not the pictures of their family right before that. Anybody else having that trouble? ….ohhhh they look so yummy!!!! Same problem here, Michelle. Looks wonderful, Megan! You made me switch tonight’s menu from fajitas to stir-fry. I will mourn the absence of spring rolls though. I do love those! I think I fixed the picture problem–sorry guys. –then again, maybe not. Why do they disappear? Is this a Mac IBM issue, I wonder?